Travelling can sometimes throw you the unexpected, every country has different cultures and ways of life (which can take some getting used to) some places aren’t as safe as others so you have to be aware of your surroundings. You may also find yourself in bizarre and unpredictable situations, these are the times when you learn how to overcome different events, these situations and lessons will stay with you forever. Travelling is a risk, choosing the country, choosing accommodation or choosing a job, all these involve stepping out of your comfort zone, living one day to the next in unfamiliar places and different cultures. “Never be afraid to try something new, life gets boring when you stay within the limits of what you already know.” These risks often hold the best rewards, seeing amazing places, living the dream and learning new ways of life, your experiences will shape your future. During a recent conversation with a friend she told me that “travelling makes you open your eyes to different possibilities, cultures and make friends”. “Which in turn makes you realise what a small bubble you once lived in.” I believe she make a very realistic evaluation of life, the new things you experience and the more you learn from there people, the more you realise you have been living in the dark about some of the world for your whole life. 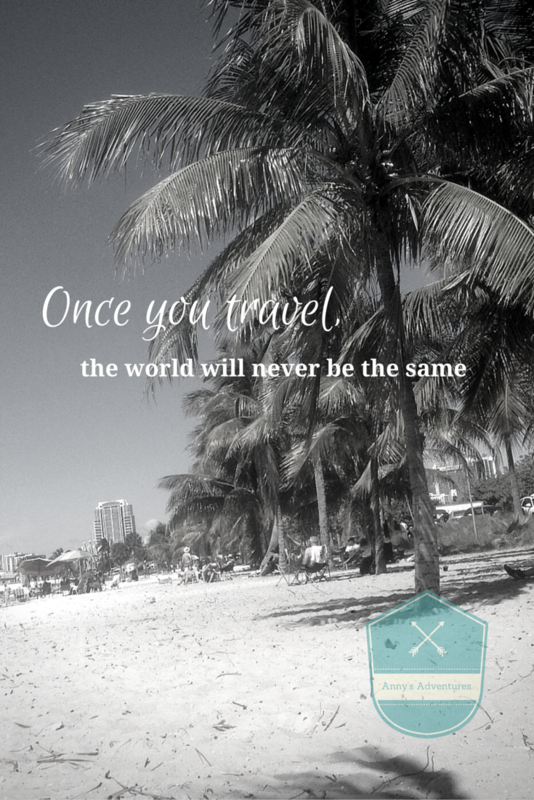 There are a large number of travellers who claim that travelling has changed their life, which is true for some people. I recently came across a blog article (wish I could remember the blog name, sorry) that presented the idea that instead of people finding themselves, people remember who they are. I thought this was an interesting concept, I was excited to read on and learn more. The blogger identified that when people leave their comfort zone they get away from everything, away from what society believes is right and wrong, cool or not cool and everything else society teaches. This gives us time to think, about who we really are, what we enjoy and what we want in life. Moving away from everyday life can sometimes let individuals see things more clearly and see through everything we have been taught, for example; how you are supposed to live your life, school then university then career, career then marriage then kids, the idea that success is being rich and popular. You realise what truly matters, what dream you have and how you would like to live. When you travel you meet a large number of people from all walks of life, countries and different backgrounds. the first thing you usually do when you meet someone new travelling is to discuss past experiences, previous trips, home countries, life in general. Talking to these people gave me a new insight into many different things, how other people travel, cool countries to visit, how to make a living travelling and much more. I hope this article has been helpful and given you an idea of how your life can change, be influenced by your experiences and help you discover your way in life. I agree! Wonderful thoughts. Traveling is seeing the world.